There are more than 200 cranberry growers on the West Coast, from British Columbia to Oregon, including Washington’s Long Beach Peninsula, where the annual Cranberrian Fair (this year on Oct. 14-15) offers the best opportunity to see cranberries being harvested and learn about the history of cranberry farming in the area. This intimate, nicely done museum displays the history of this region where the Columbia River meets the Pacific Ocean. Learn about the original Chinook people, European exploration and settlement, and the development of the local fishing and timber industries. Demonstrations during the festival weekend include those by rug makers, quilters, a blacksmith and other artists. The festival’s arts-and-crafts fair inside the museum features local artists offering handmade pottery, jewelry, paintings, cranberry vine baskets, baked goods, and more. Don’t miss the fair’s trademark cranberry-peach pie — available whole or by the slice (I bought two pies last year). Railroad fans will enjoy the museum’s freight depot, used in the early 1900s as Ilwaco’s commercial transportation hub. Inside is a 50-foot-long diorama of the Long Beach Peninsula as it was in 1925 and a working N-scale model railroad. During the fair, you can go inside the museum’s 1889 narrow-gauge passenger car, Nahcotta (from the peninsula’s Clamshell Railroad; open only twice a year). 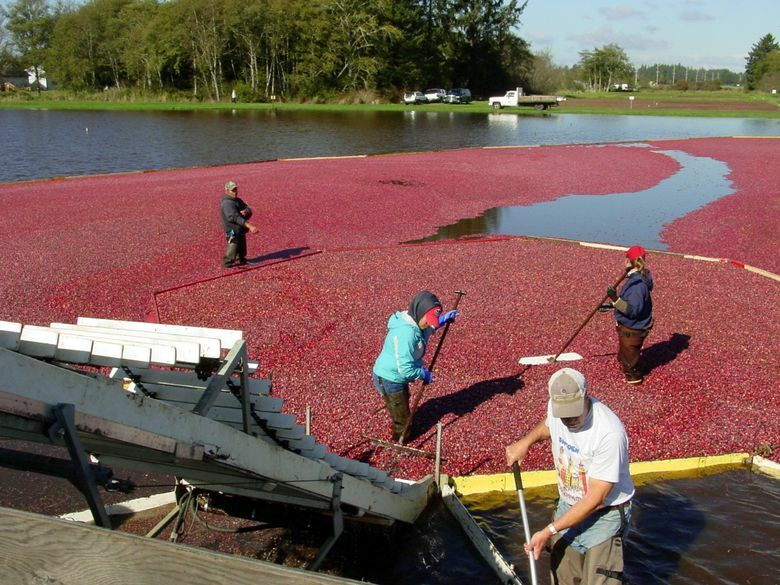 The Pacific Coast Cranberry Research Foundation was created in 1992 to fund cranberry research and extension work on the West Coast of the United States and Canada. Its museum has an extensive display of historical tools and good signage describing the history of cranberry farming on the peninsula, along with stages from bog preparation to planting to marketing. The gift shop features cranberry-themed gifts. The research bogs behind the museum will be harvested at some point on both days of the festival; call to see if harvesters are working. Open daily 10 a.m.-5 p.m. April 1-Dec. 15. Free. More info: 360-642-5553 or cranberrymuseum.com. Getting around: For a fun ride, visit the Columbia Pacific Heritage Museum first to get a festival button, and then ride from there to the Cranberry Museum & Gift Shop and back on the Cranberry Trolley, which runs between the two venues from 10:30 a.m.-3 p.m. Saturday and 11 a.m.-1 p.m. Sunday (free with $5 festival button). BYOB (Buy Your Own Bag): You can buy a bag of fresh cranberries at the Cranberry Museum (last year I bought a huge bag from a grower parked outside the Ilwaco museum). 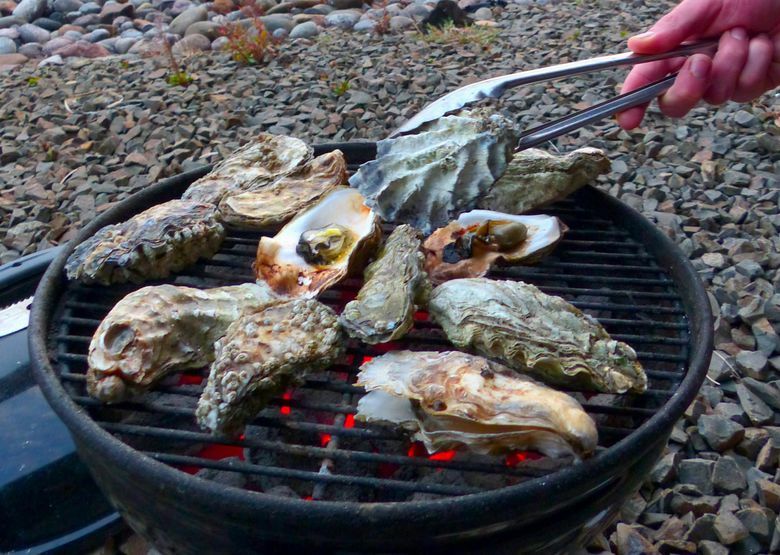 Freeze them for the holidays or store in the refrigerator and use within a week or two.